Diabetic eye disease is a fairly common complication of diabetes that occurs when high blood sugar levels cause damage to the retina which is the part of the eye responsible for transmitting what we see to our brains. Over time, this damage could become so significant that it begins to compromise your eyesight. Left untreated, it can lead to blindness. Diabetic retinopathy. This affects the blood vessels in the retina and is the most common cause of vision loss among diabetic patients. Diabetic macular edema. This occurs as a consequence of diabetic retinopathy and is characterized by swelling in a part of the retina called the macula. Cataracts. This condition is characterized by the clouding of the natural lens of the eye. Glaucoma. Diabetes nearly doubles the risk of developing glaucoma which occurs when there is damage to the optic nerve, usually as a result of accumulated pressure in the eye. Am I at risk of developing diabetic eye disease? Diabetic eye disease can affect all patients with diabetes, regardless of whether they have been diagnosed with Type 1 or Type 2. The risk also increases in line with how long you have been diagnosed with diabetes, and approximately 45% of Americans diagnosed with the condition have developed some degree of diabetic eye disease. 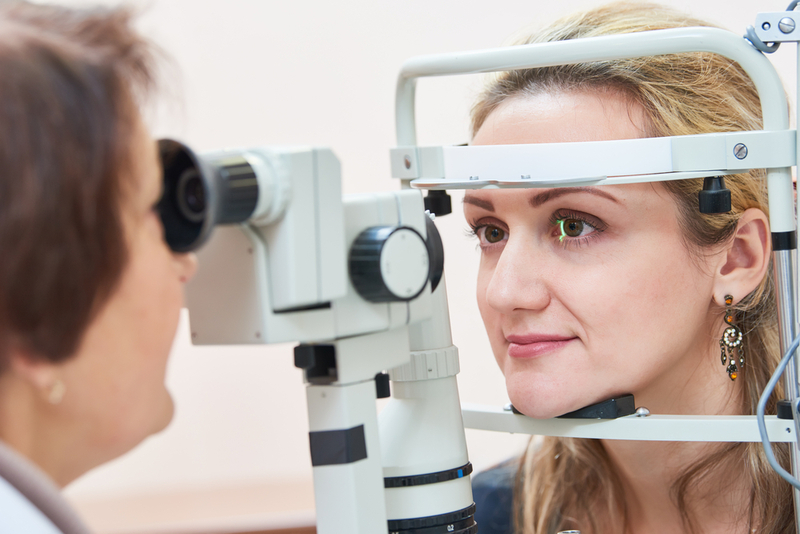 You may not have diabetic eye disease, but it is important to get your symptoms checked out promptly, rather than waiting until your next diabetic eye screening appointment. Is there any way of preventing diabetic eye disease? - Taking responsibility for your health. This means controlling your blood sugar levels and not letting them regularly dip too high or low. - Keeping your blood pressure under control and managing your stress levels so that you can do this. - Controlling your cholesterol and keeping it within healthy limits. - Attending regular eye exams where our optician will perform diabetic eye screening to check that diabetic retinopathy isn’t developing. If you are concerned about diabetic eye disease and would like to schedule an diabetic eye screening with our experienced team of ocular specialists, please contact our offices.